So welcome to the first Fast Fiction Friday! Fast because you are allowed to share no more than FIFTEEN sentences, fiction because your work is fiction, and Friday, because well, hmm, it is Friday. So here we go! Share an excerpt of no more than Fifteen sentences from your family friendly book (man, I love alliteration!) in the comment section below. Make sure to post a buy link—I want others to find your work! And one last thing…Share this post! If you share, I share, we all share, then we all have our samples read. Easy peasy, right? “No, silly. The purple bruise beneath your eye. Did you flirt with the headmaster’s daughter again?” Magnolia enjoyed the flush that swathed her old friend’s cheeks. It made him even more attractive, and across the room, Hesper looked ready to swoon. 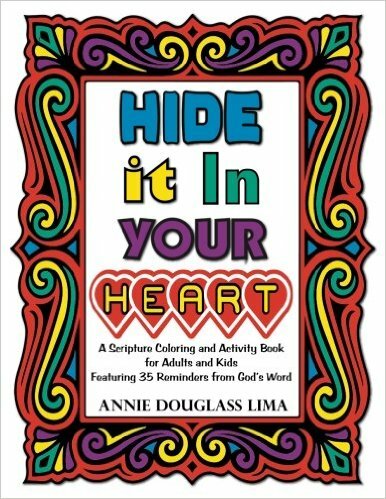 More than just a coloring book, this inspirational activity book will help you relax, unwind, and enjoy some creative fun while hiding Godâs Word in your heart. 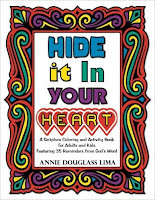 Proceeds from the sale of Hide it In Your Heart will be donated to www.Christar.org to help provide a translation of Godâs Word for a particular people group in East Asia who do not yet have the Bible in their own language. Here are a few sample coloring and activity pages from Hide it In Your Heart. If you'd like to color them or complete the word puzzles, click here to access a PDF that you can download and print. HOWEVER, you can get it for 15% off if you order it here on CreateSpace with coupon code JZBVVBH8! The code can be used an unlimited number of times and will not expire, so feel free to order as many copies as you like for family and friends. 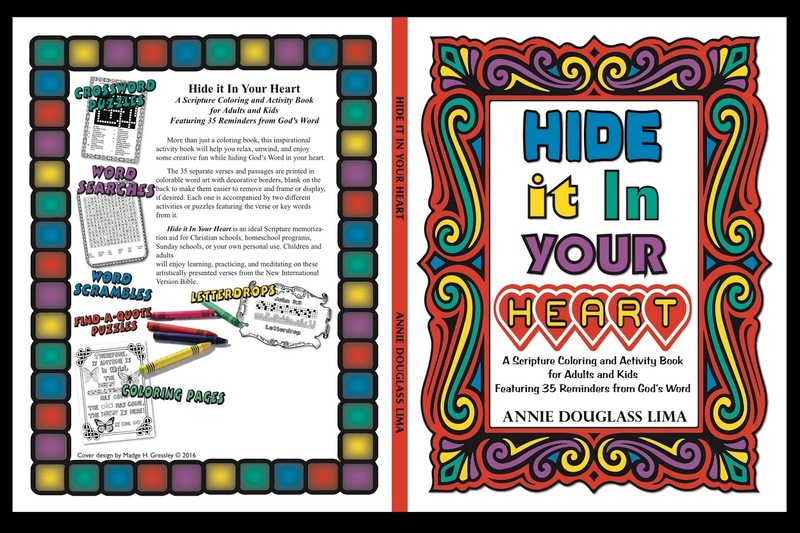 Hide it In Your Heart makes a great gift for anyone who enjoys word puzzles, coloring, or God's word! You're welcome to share the code with others, too. Annie Douglass Lima spent most of her childhood in Kenya and later graduated from Biola University in Southern California. She and her husband Floyd currently live in Taiwan, where she teaches fifth grade at Morrison Academy. 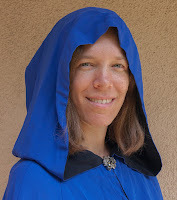 She has been writing poetry, short stories, and novels since her childhood, and to date has published thirteen books (two YA action and adventure novels, four fantasies, a puppet script, five anthologies of her studentsâ poetry, and a Scripture coloring and activity book). Besides writing, her hobbies include reading (especially fantasy and science fiction), scrapbooking, and international travel. Register to win a kindle or a $50 paypal gift card!